High contrast, temperature compensated display screen"
Been very reliable for me, battery life is good. A lot people have had issues with errors i think this is due to water getting into the machine. Does everything I need it to do and does it well, however it's frustrating when it needs calibration as costs seem high and takes a while before I get it back. Mine is 5 years old and I have now been told that it really needs replacing despite it still working really well. That would make me hesitate before buying a new one without investigating other brands. used this product now for 4 years very reliable does everything efficiently with printer. great features. good piece of kit would strongly recommend. Excellent analyser easy to use and build quality is good. It has many features. Compare with some of the analyser out there. 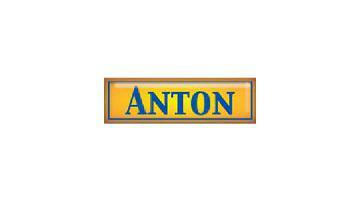 Always had anton and they haven't let me down I have two, serviced at different times in the year because I can't be without one on a day to day basis easy to navigate only con is the probe on some boilers seems handle heavy and can fall out leaving you to hold it in. I've got to admit. Before having this. I've always had the big dogs of testo 330-2LL or LX. So I wasn't happy moving to this. But the more I've used it. The more I'm starting to like it. It has plenty if features. Some I've still not played with. But is a good piece of kit and calibration is alot cheaper than the testo kit. Very simple to use and not bad for the money, the magnetic back makes it great for sticking to the boiker casing when in use. Great machine, accessories it comes with are really useful and software really easy to use. Makes servicing boilers really easy and best product on the market in my eyes. I have one of these and an Evo3. Brilliant tool but the service is second to none. Have a great repore with Russ at Anton Watford. Have a Kane too but this just beats them all. And now £95.00 annual service and quik turn around. Easy to read and understand does full range including oil so I don't need another tool. easy to print or save to your computer and has a log too. Can password protect or if you get yours nicked there a theft database too. Had my analyser for 3 years now and it’s not really let me down. They don’t like the cold so I would recommend keeping them inside in the winter. 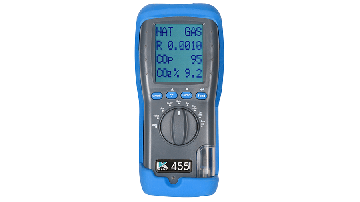 The added features of gas sniffer, F and R temperature gauge and CO room monitor are must have for any gas engineer. All in all a very good product. 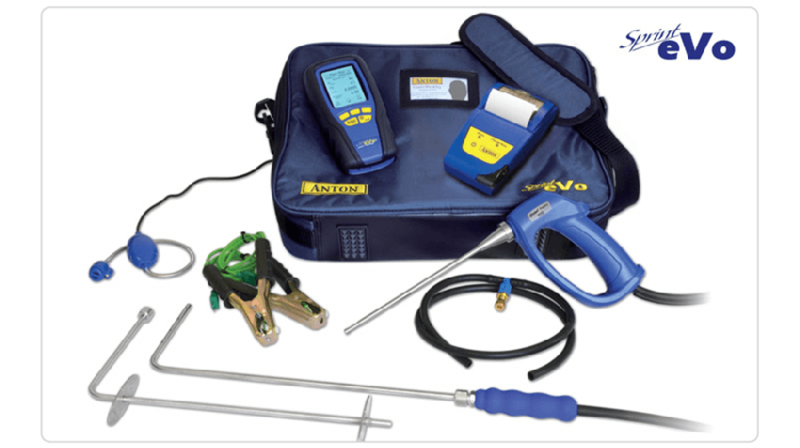 Great bit of kit with loads of accessories for many uses other than flue analysing. Could be cheaper but you get what you pay for. Upgraded to this model from my sprint v2 which I owned for 6 or 7 years. Good tester, reliable readings, easy to use layout and wireless printing. Not a bad analyser. Good for the money but there is a lot better products on the market. If youre on a budget then this is for you. If not then get something better. Easy to use and service costs aren't too bad. Doesn't like the rain or being in cold van over the winter, but then not many analysers probably do..
Great product, it's easy to use. Not to be kept in the van over winter though as it doesn't like the cold much. A little bit expensive but I e tried other analysers in the past and this is by far the best I've come across... I will upgrade to the V3 next year. Good bit of kit. Nice and easy to use. Comes in a decent laptop style bag with all the extras. Holds a charge brilliantly. Only downside is having to send it away to get calibrated which can take over a week. Better than some other testers I've used, I had one a while ago that always seemed to have issues but got it replaced and haven't had any problems with the replacement. I personally find this the easiest on the Market to use. I use mine daily and will buy another when this is at its end of life about 8 years old now. We've had ours now for about 8 years it's a great bit of kit. When we've had issues we've delt direct with anton and it seemed it got sorted a lot quicker that way. Have always had Anton's but recently their customer service has been steadily going downhill. The time it takes for calibration is shocking, it always seems to come back with something wrong ( last time they sent it back with a blocked pump ) Mine is in for calibration again now but if it comes back with another big bill I will be upgrading to Kane. I used to have one of these before upgrading to a Kane. I found the calibration took to long and was expensive and then when my printer came back faulty and they wanted £150 to replace it I just got rid and bought the Kane instead. Great bit of kit - would recommend for ease of use and cost. Calibration a good price and turn around too. At £99 annual fixed price servicing costs with a quick turn around , i don't think there is a better option. Great app on phone and pc allows easy certificate production and annual reminders. Approaching it's second calibration. Had to send the analyser back after the first calibration as fga results in high fire were always reading around 12% CO2. Long period of downtime. A friend has also had problems with his. Both of us have experienced 4 weeks without the analyser. Now I fear that the next calibration will require new cells if the rumours are true. Otherwise, very easy to use. Used this product for over 3 years, there's nothing wrong with it, just a little outdated now with some features. Attached printer is difficult to connect to, battery doesn't last long. Calibration annually are not cheapest either.